This unit of study introduces the learners to the major elements of narrative for interactive environments. The focus is on the concepts of storytelling in relationship to game design. Learners will explore the fundamentals of narrative creation and the crucial importance of interactive storytelling. Learners will also use storyboards to create a visual sequence of story development and game play. Students create a checklist of all the assignments for this unit. This tutorial below introduces the concepts of terrain and is a continuation of the development process for setting up a game build in the Unity Editor. This tutorial introduces the basic skills the learner will need to start any project in Unity. 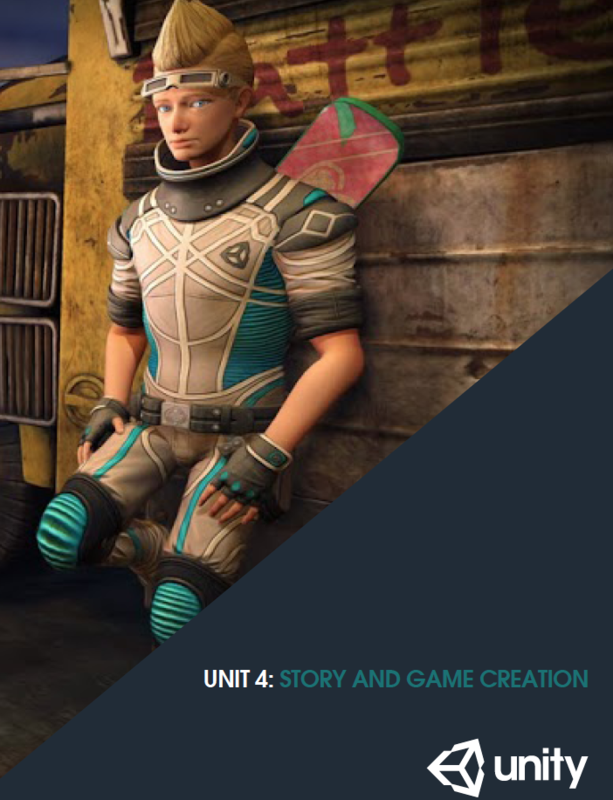 As learners finalize their game genre, story, and begin character development, the next tutorials will prepare them for bringing their storyboard to life within the Unity Editor. Provide time and opportunity for learners to complete the Terrain Sculpting Tutorial and previous tutorials as necessary to develop ability to begin the actual creation of their game for the Capstone Project. In this unit, they will learn how to manage resources (i.e. time and talent) to accurate predict how long a project will take. They will also create a roadmap, which details the steps they need to take in order to meet the milestones to keep the project on track. The Work Breakdown Structure (WBS) document will be used to itemize specific tasks to be completed in order to finish a project. This can include very high level tasks as well as very detailed and highly specific tasks. For this part of the project, just enough project management is recommended and learners will only create a WBS for the higher level tasks. They will complete the WBS by listing the higher level tasks to be completed on the Capstone Project. This can be changed and edited as new knowledge and under- standing of the process occurs. Divide the class into groups of three learners each. Within the small groups, each person is assigned a number (one, two, or three). Give each group a sheet of paper and ask them to write the words “Once Upon A Time…” at the top. Write the word “Who?” on the board for the class to see. Instruct the first person from each group (number one’s) to write one or two sentences, describing who was going to be in the story. Tell them that they only have two minutes to write their notes, encouraging them to write adjectives and have fun with it. Write the word “Where?” on the board for the class to see. The second person from each group then has two minutes to write where the story takes place. Who said What back to that person? Direct the learners to work together to convert their sentences into a storyboard with illustrations. Using a ‘round-robin’ type of routine, ask each group to share their story with the class. Based on this image alone, create a 350-500 word story that includes the scene depicted below. Discuss what happened to bring the character to this point. How did the fish get into the scene? What happens after this scene? You are creating the backstory, as well as the future story. Write a 150-200 word essay explaining the butterfly effect. After finishing the written part of this project, watch the The Butteryfly Effect created by Unity Technologies and Passion Pictures and then watch the making of the film. How is this film related to the butterfly effect? Discuss the elements used by the creators to generate the feelings and emotions engendered by the film. What was the “feel” at the beginning of the film? What techniques did the creators use to change that to the feeling of the film after the point where the main character encounters the skateboard? Five Card Flickr is an exercise in visual storytelling. Repeat this process four more times, building a coherent storyline from your five photos, during each round. This is still a pretty high level storyboard, so you do not need all the nitty-gritty details but at least a storyboard of the major story components. Jot down a few paragraphs of narrative that introduce your storyline. How did the main character end up in the situation they are placed at the beginning of the game? 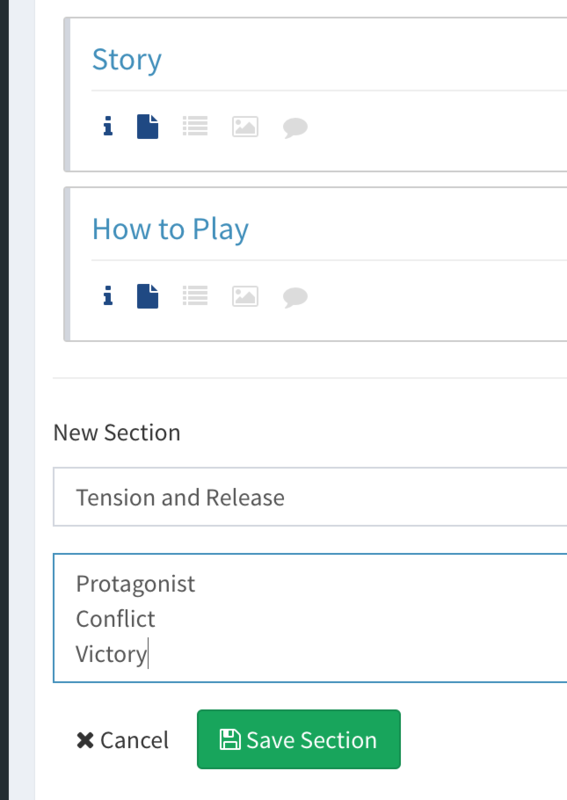 If your game does not have an actual storyline, jot down the background for how you developed the idea for your game. What was in your mind? Why do you think your idea is a good one? Remember your game will have a storyboard even if you are not developing a narrative type game. In your Game Design Document (GDD), under the art section in Dundoc, provide details on the main characters and any supporting characters for your Capstone Project. Write out the physical features of the character, using five bullet points. Using the provided Character traits list, identify two dominant traits for your main character. Include an explanation of the character’s development of those traits. In paragraph form, create a back story for the character. The back story must lead the character up to a point of current conflict, but does not need to include their current conflict. In paragraph form, write out emotional/personality of the character. You will revisit and revise these sections as you learn more throughout the course. Watch the initial cut scene in the game: Minotaur Labyrinth. 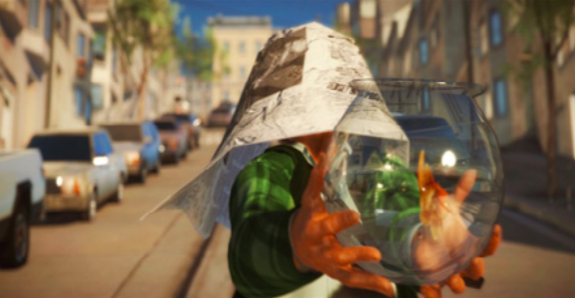 Discuss how the initial cut scene sets the stage for gameplay. What kind of mood does the story create? Based on the story, what do you expect from gameplay? What type of environment do you anticipate? Play the game: Minotaur Labyrinth. Explain how the game fits in with your expectations based on the initial backstory created via the cut scene. How would you have done the intro scene differently? Write a short story about a character that is lost. You can choose the setting: woods, city, mall, etc. What does the setting look like? Where did the character come from? How did your character get lost? What does your character hear? Smell? Think? Feel? Who does your character talk to or with whom does your character interact? How does the problem in the story develop and resolve? Does the drama end in tragedy or comedy? Create a storyboard that visually communicates your short story. Sketch out the scenes, character(s) and major objects. From sketch-to-sketch, include scenes, actions and transitions that detail the flow of the story. To enhance the communication value of the sketched panels, add titles and notations to detail any key sounds and special effects.